Solar technology is currently changing the face of modern energy generation for consumers. From rooftop, to community, to utility-scale projects, American families and small businesses across the country are realizing the potential that solar brings in the form of clean, affordable, and reliable energy. Industries Association, “U.S. 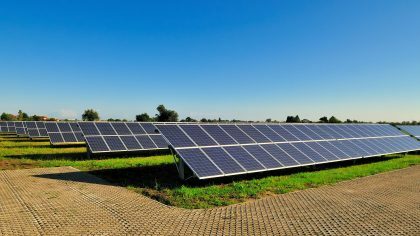 Solar Market Insight,” December 13, 2016, http://www.seia.org/research-resources/us-solar-market-insight Currently, there are about one million solar installments – private rooftop, community, and utility-scale – in the United States, and they account for about one percent of the electricity produced in the U.S.2Nancy Averett, “Solar Power Saves Everyone Money,” BU Today, July 25, 2016, http://www.bu.edu/today/2016/solar-energy-advantages/ With the cost of systems continuing to fall, that number is expected to double in the next two years.3Ibid. Consumer preference and costs will ultimately determine how rapidly residential and commercial-scale solar expands in the U.S., but it is clear that significant amounts of new solar installations are occurring and will continue to occur for the foreseeable future. More options, choice, and competition in the energy sector will benefit consumers and ultimately benefit both the environment and energy reliability. Finding the best ways to incorporate solar power and other distributed energy sources into the grid will require a great deal of innovation and coordination at all levels of government. For consumers to fully benefit from this resource, policies will be needed to ensure consumer protection, information sharing, and grid modernization capable of fully incorporating these resources. 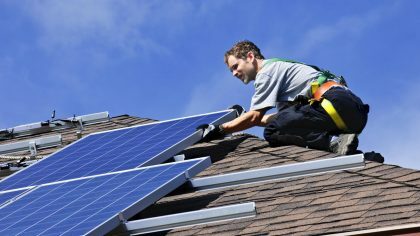 Consumer Energy Alliance strong supports solar energy and the benefits it offers consumers throughout the U.S., which is why we have continually called for policies that are pro-solar, pro-grid, and pro-consumer. Download the CEA one-pager on Solar Energy.